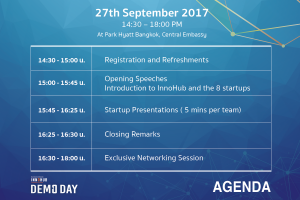 27 September 2017 marks the end of the 12-week FinTech Accelerator Program held by Bangkok Bank Innohub. As such, the inaugural Demo Day will be held in Thailand, Bangkok. 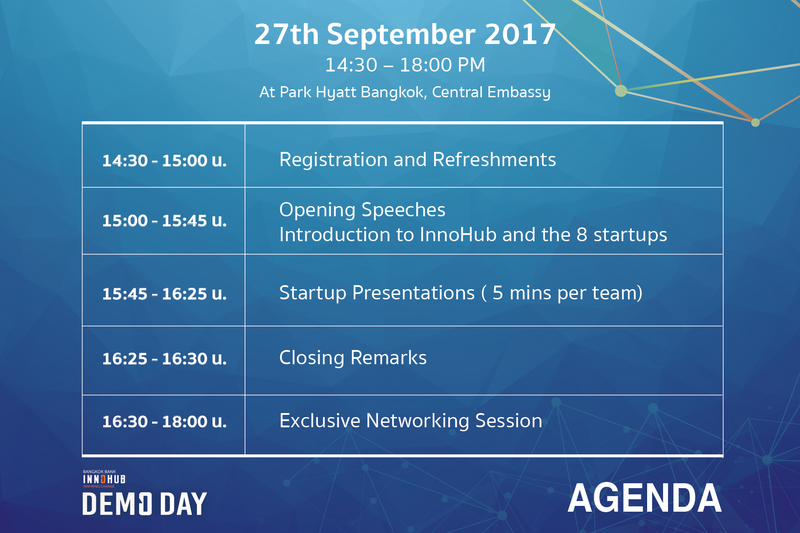 On that special day, InvoiceInterchange, together with 7 other FinTech startups from across the globe will be pitching our business ideas to the Thai and ASEAN investment communities. In line with the overall theme of “Inspiring Change”, as well as Bangkok Bank’s determination and commitment of exploring and adopting innovative new technologies, InvoiceInterchange will be sharing how we make use of the advancing technology to help businesses obtain fast financing by trading invoices. Attendees will include Thai government and private-sector representatives, members of local and international start-up and investment communities, Bangkok Bank executives who have mentored start-ups, and lastly the media. We are really excited to present our business plans on the upcoming Bangkok Bank Innohub Demo Day and to be part of this fintech accelerator program. InvoiceInterchange can help turn your outstanding invoices into cash in 24 hours.